Tonight is Game 6 of the World Series. Those words can bring up so many different memories. Who will be the Reggie Jackson, Carlton Fisk, Don Denkinger, Bill Buckner, Kirby Puckett, Joe Carter, Tom Glavine, Josh Beckett, David Freese or Nelson Cruz of the night? 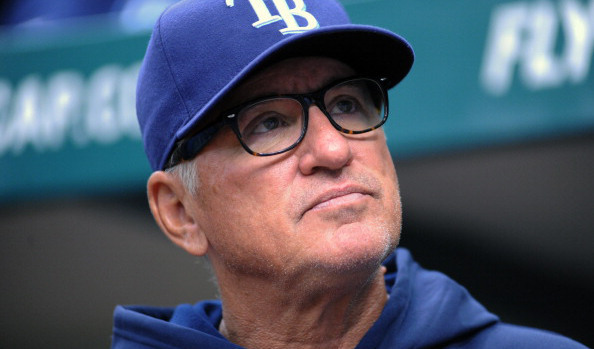 Meanwhile I all but beg Joe Maddon to take over the Dodgers. It could be a memorable night that is previewed on The Sully Baseball Daily Podcast. This entry was posted in Joe Maddon, Sully Baseball Daily Podcast and tagged 2011 World Series, 2014 World series, Bill Buckner, Chicago Cubs, Joe Carter, Kansas City Royals, Los Angeles Dodgers, Mike Timlin, Reggie Jackson, San Francisco Giants, Tampa Bay Rays. Bookmark the permalink.